It’s been a pretty amazing run of celestial eclipse events the past few weeks here in Tucson. Last month, we witnessed a partial solar eclipse. Sunday morning brought a partial lunar eclipse and yesterday was a rare Venus transit. 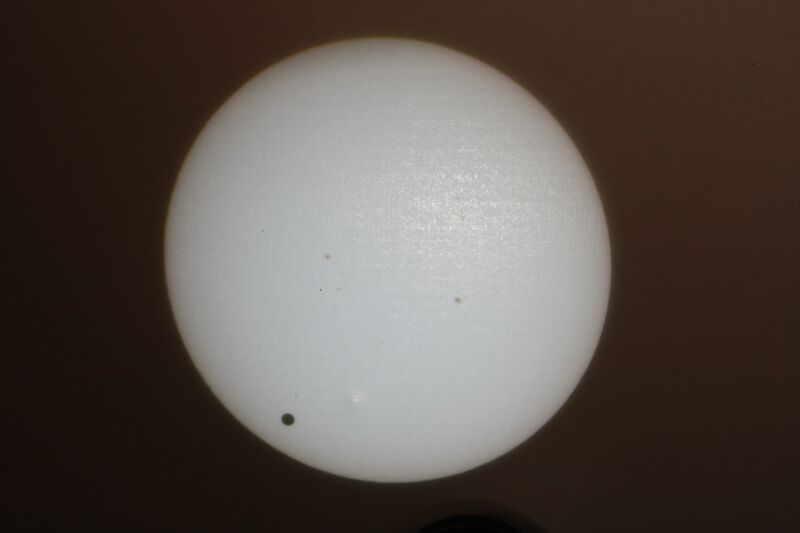 I watched the Venus transit with a SolarScope that projected the image of the Sun onto a white background. The picture below shows what the transit looked like. Venus is the round and dark spot near the lower left edge of the Sun. A few sunspots (and dirt on the screen) can be seen closer to the center of the Sun’s image. Though I didn’t think to take any images of the Sun during last month’s eclipse, my wife, Alyse, did snap this great photo of hundreds of crescent Suns on our back wall. Each crescent was caused by the Sun shining through our trees. 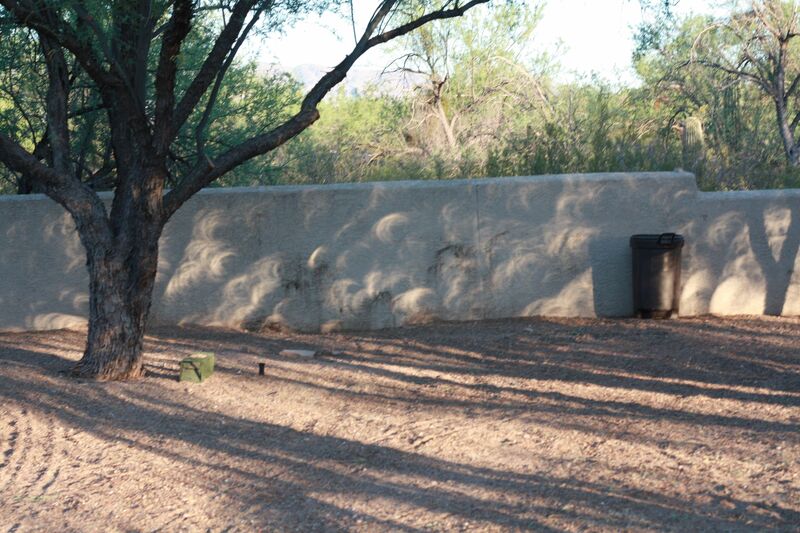 The gaps between leaves acted like pinhole cameras, each making its own pinhole projection image of the Sun. Unfortunately this one was not seen from Brazil.